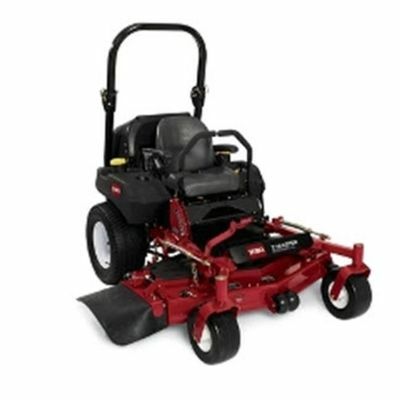 On March 30, 2011 Toro® Z-Master ZRT Riding Mowers have been jointly recalled with Toro, Health Canada, and the United States Consumer Product Safety Commission (US CPSC). Mowers with the optional deluxe seat have an operator presence switch built into the seat. The switch may activate the mower when the operator vacates the seat, posing an injury hazard from the blade to the operator and anyone in the vicinity of the mower. In the United States, Toro has received one report of a foot laceration. At time of the recall neither Health Canada nor Toro have received reports of incidents or injuries in Canada related to the use of the riding mowers. You should immediately stop using the riding mowers if they have the deluxe seat installed and contact a Toro service dealer for a free repair. You should contact Toro to determine if their riding mower is included in this recall or to find the location of their nearest Toro service dealer. If you need more information, you may contact Toro toll-free at 1-866-946-3109, between 8 a.m. and 4:30 p.m. CT Monday through Friday, or visit their website. Approximately 109 units of the recalled riding mowers were sold in Canada at authorized Toro dealers. In the United States, approximately 3,700 of the recalled riding mowers were sold at authorized Toro dealers nationwide. These recalled products were sold from September 2005 to January 2011 in Canada and in the United States. The riding mowers were manufactured in the United States. The manufacturer is The Toro Company of Bloomington, Minnesota. Which home would you buy?